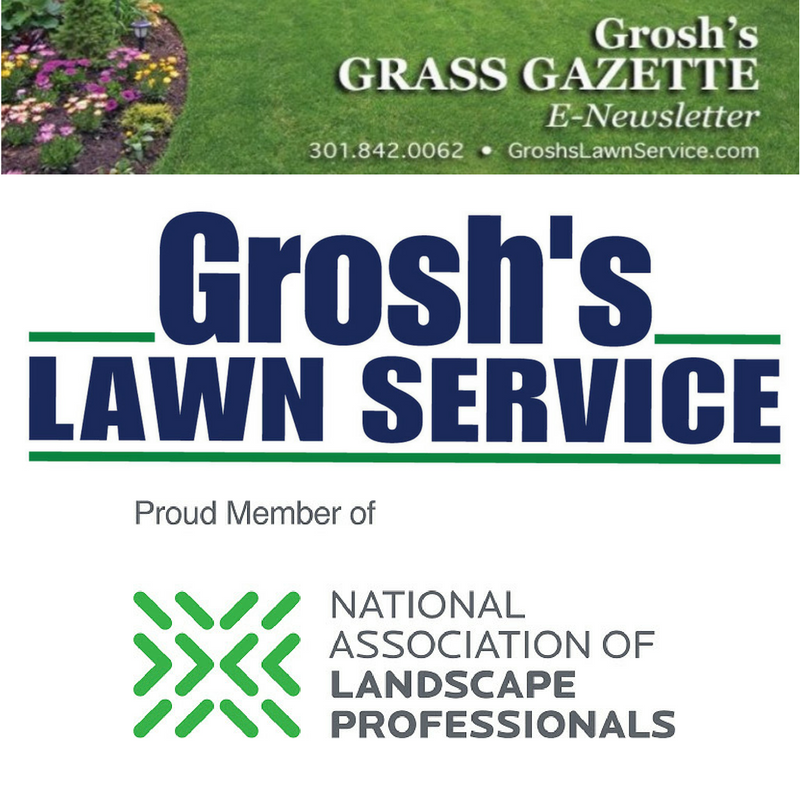 Grosh’s Grass Gazette E-Newsletter. News and helpful tips for our clients in: Washington County, Maryland, and the surrounding area including: Hagerstown, Maryland; Williamsport, Maryland; Clear Spring, Maryland; Greencastle, Pennsylvania, and Falling Waters, West Virginia. Read more for more information on lawn mowing, lawn care treatments, landscaping, shrub trimming, shrub pruning, mulching and numerous other outdoor services. We hope you enjoyed your Labor Day weekend, and took time for relaxation and connecting with friends and family. 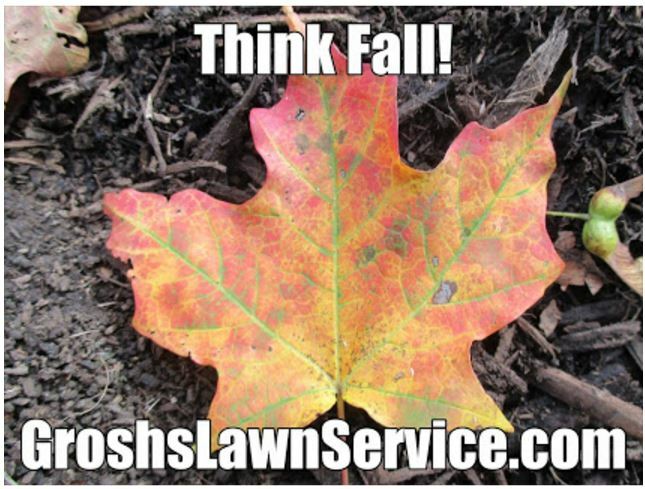 We at Grosh's Lawn Service are thankful that God has given us the wonderful outdoors to work in each and every day. We are so blessed to be able to enjoy nature's sights and sounds! It's hard to believe that the days are getting shorter, and children are headed back to school. It's seems like summer just started. Now that the weather will be cooler, and the sun setting faster, it's time to start thinking about your fall lawn and landscape checklist. Keep those newly planted trees, shrubs and flowers watered, especially during times without rain. Keep an eye on the temperatures. We should have about 6 to 8 more weeks before the first frost, which will start to kill annual plants. Don't have annual plants in your landscape? Boy, did you miss out. But you don't have to miss out forever. Send Tom an email now at Tom@GroshsLawnService.com to make sure you are on next year’s annual flower planting schedule. 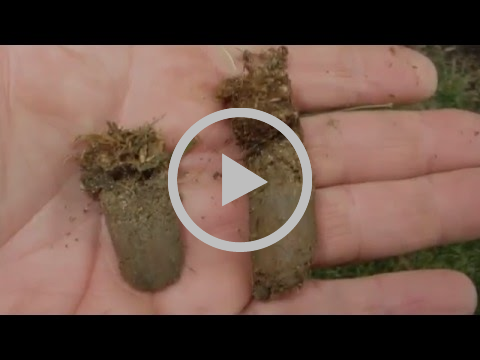 Perhaps the most important step in the lawn care process is aeration; its benefits to grass are endless. 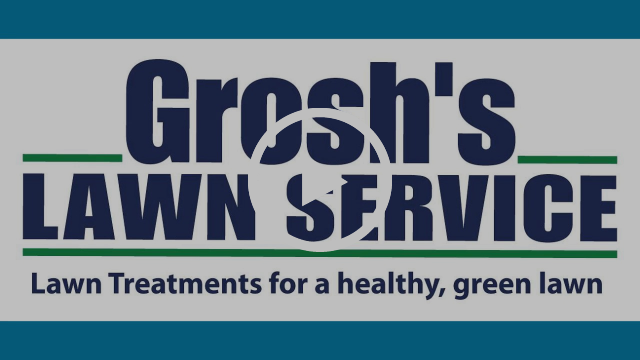 To learn more about the aeration process, check our Grosh’s Lawn Service YouTube video below. Be sure to contact Tom quickly to schedule an appointment. 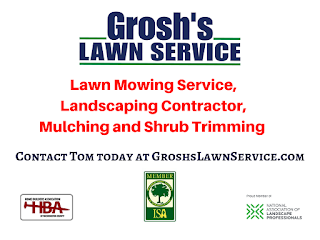 Give him a call at 301-842-0062, or email him at Tom@GroshsLawnService.com. Are you looking to give your home, office, or commercial property some beautiful color next spring? Now is the time! As the cooler temperatures arrive, along with rain, early fall is the perfect time for tree planting. Contact Tom now, so you aren't telling yourself, "I wished I would have planted that tree sooner," a few years from now. The tree will look great and will really enhance your property. Now is the time to make sure your gutter cleaning is on Grosh’s Lawn Service schedule. With fall's arrival, daylight hours are getting shorter, meaning there aren't as many work hours in our day. Instead of risking a fall from your roof, which could result in serious injury or, even death, contact Tom and the Grosh's Lawn Service team to have them take care of the gutter cleaning. 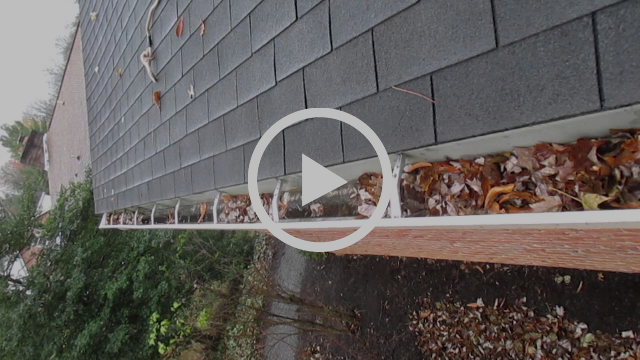 Check out Grosh’s Lawn Service YouTube video below to learn more about the importance of clean gutters. Soon, treatment four - the early fall fertilizer and broadleaf weed control lawn application - will be applied where needed. This controlled release fertilizer and weed control application will help thicken the turf and control weeds. To learn more about this process, and what's in store for your upcoming treatment, check out the video below. Of course, as fall comes around, so too do falling leaves. 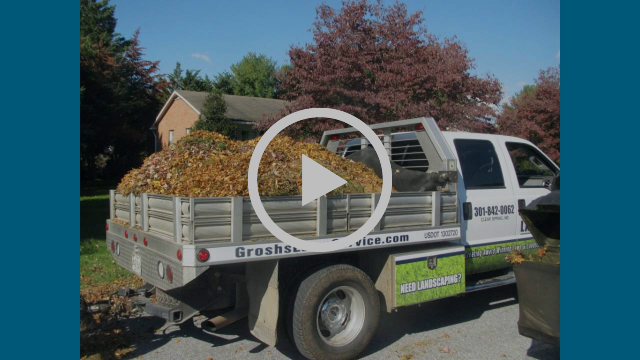 As you can imagine, leaf cleanup is one of our most popular services in autumn, so make sure that your lawn and landscape beds are on our schedule. Remember, leaves cannot be left on the lawn, flowers, or shrubs. When leaves pile up, and block sunlight and oxygen from getting to the grass, shrubs, and flowers, they are unable to survive. Grosh's Lawn Service offers a weekly leaf clean-up service, which is the most cost-effective and efficient way to remove leaves. Take some time to watch the video below for more information. 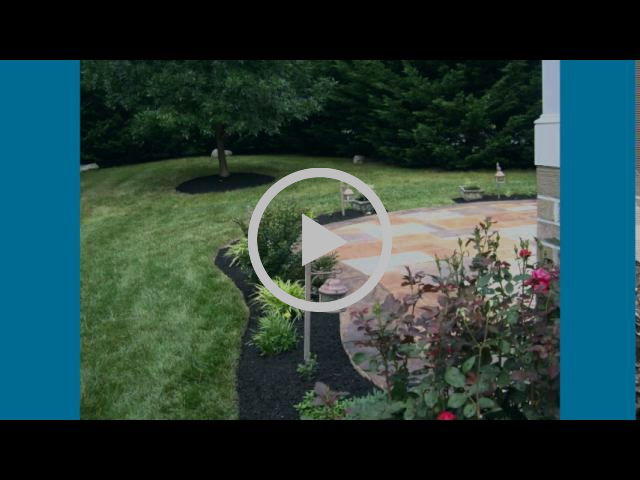 Looking to have your landscape beds edged and mulched? Did you just purchase a new home and the landscape needs some sprucing up? Whatever the reason, Grosh's Lawn Service is here to help with fall mulching and fall landscape design. 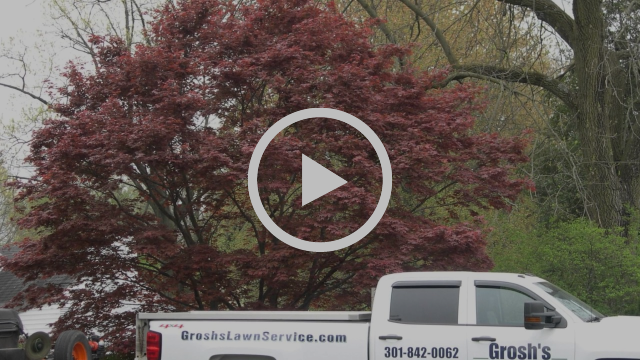 Check out this Grosh’s Lawn Service YouTube video to see how we can transform your landscape at your home, office, or commercial property! 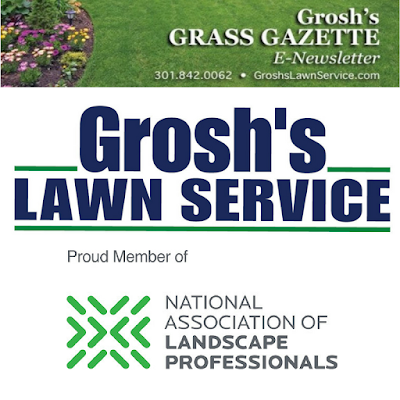 Thank you for allowing Grosh’s Lawn Service to help you care for your lawn, landscape, trees, flowers and shrubs! Do you have something that you need completed, but aren't sure where to turn? Are you tired of asking others to get it done, only to have them not listen? Send Tom an email at Tom@GroshsLawnService.com and let him know the project where you could use help and we will work together to see how we can solve it! Have a fantastic September, and we look forward to seeing you back here in October! We Remember 9/11 Today and Every Day!